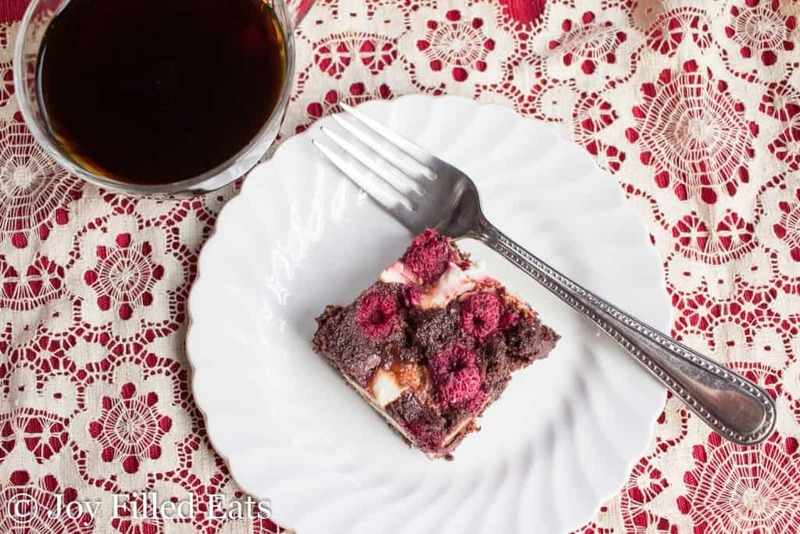 My Dark Chocolate Raspberry Cheesecake Brownies are the perfect dessert or grab and go snack. 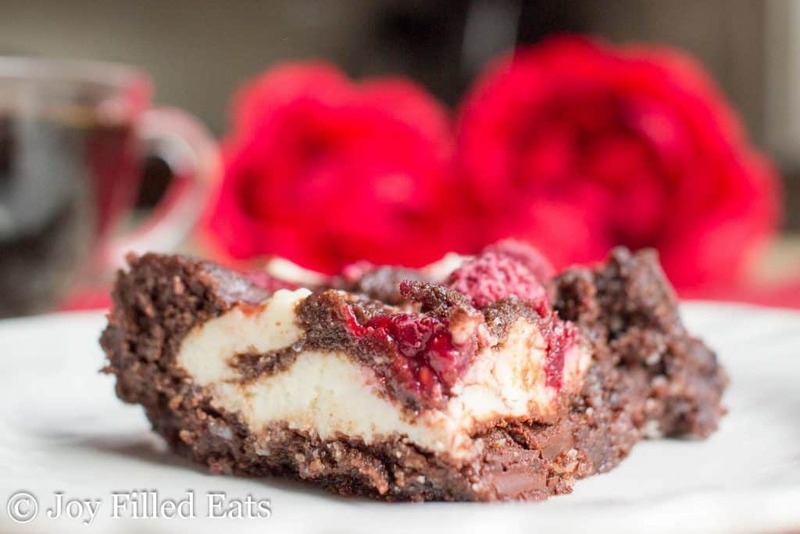 With the flavors of chocolate, raspberries, and cheesecake they will be your new favorite treat. They are low carb, keto, grain-free, gluten-free, sugar-free, and a THM S.
I have to admit I’ve been eating these for breakfast. They have fruit so they are breakfast food, right? Even if they aren’t I’m happy to indulge. They are delicious with a cup of coffee and easy to eat while nursing my baby. This brownie is based on Hannah’s Fabulous Brownie Recipe. It really is a fabulous brownie and if you just want a simple decadent chocolate brownie that one should be on your list. I, however, have been craving dark chocolate raspberry everything. It is the one fruit/chocolate combo I like. I had an amazing dark chocolate raspberry cheesecake over the summer so that was when my craving started. I decided to turn that cheesecake into a brownie to capitalize on the chocolate portion. 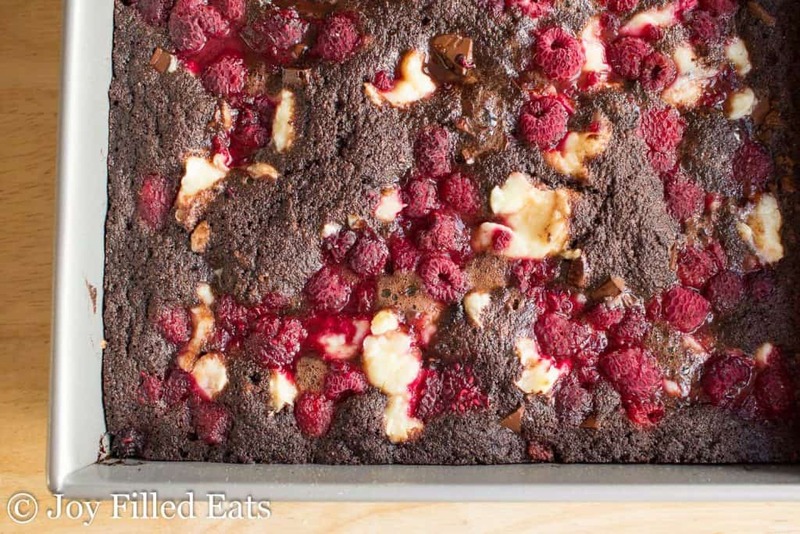 I’ll try to make a long story short but there is someone special to my family that loves dark chocolate raspberry and I always think of her whenever I make this recipe. When my husband was in high school and college one of his best friends, Josh, had muscular dystrophy. I was blessed to meet him when my husband and I began dating in college. Unfortunately, he passed away before we even graduated. We’ve stayed close to his family ever since. They are truly family to us after all these years. Josh’s mom, Maryanne, is the dark chocolate raspberry fan. She is a fabulous cook and fantastic baker. One of her favorite sayings is “It’s all about the presentation.” And she is known for making all of her treats look beautiful. For my children’s Baptisms she’s always made cut out butter cookies with their first initial. She dips them in chocolate and sprinkles and they taste even better then they look. 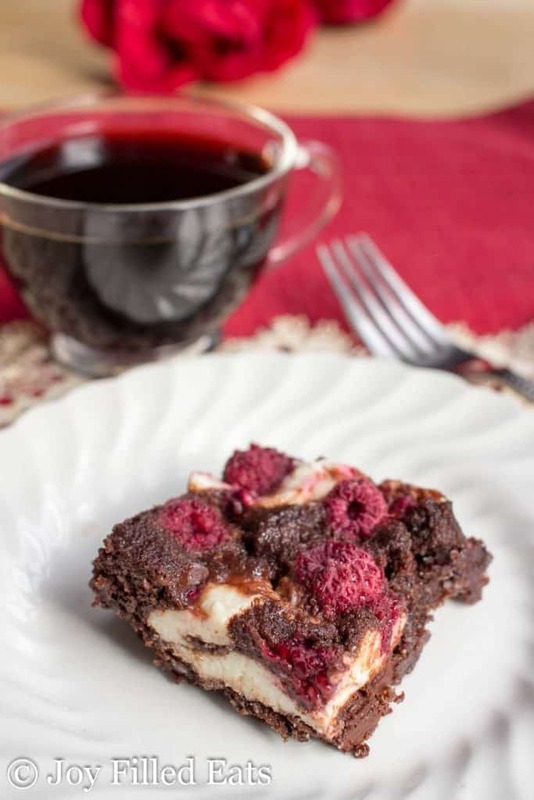 Anyway, I hope you enjoy my Dark Chocolate Raspberry Cheesecake Brownies! Preheat oven to 350. Grease a 9 x 9 baking dish. In a large bowl whisk together the butter, warm water, and eggs. Add the dry ingredients and mix well. Pour into the baking dish. 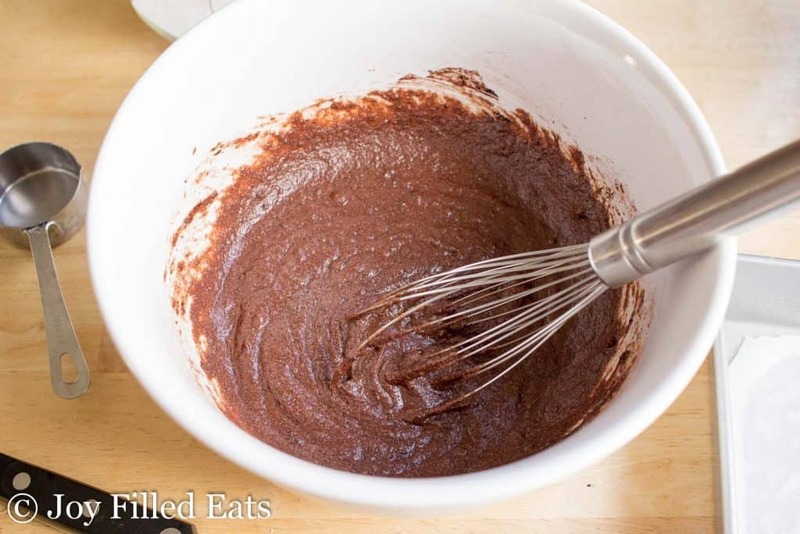 Sprinkle the chopped chocolate on top of the batter. In a small bowl stir together the cream cheese and 1 tablespoon sweetener. Drop dollops on top of the batter and swirl gently. 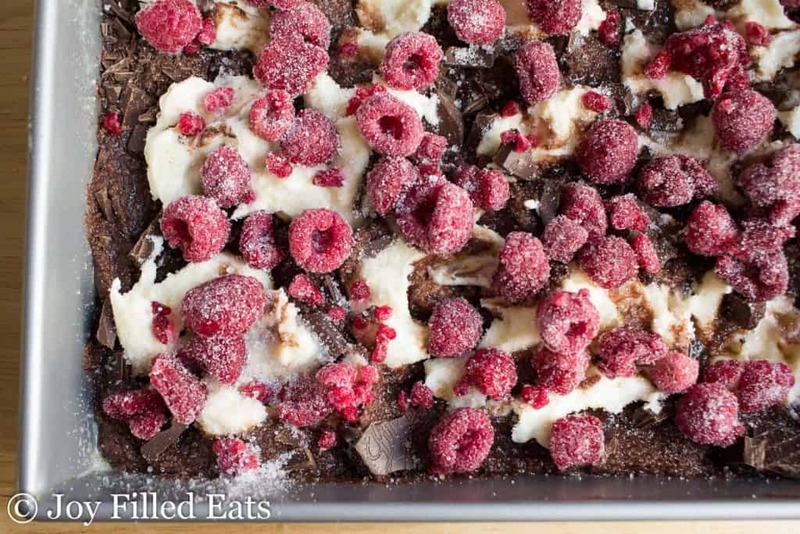 Scatter the frozen raspberries on top. Sprinkle with the additional tablespoon of sweetener. Bake for 35-40 minutes or until the entire brownie has puffed up and is no longer jiggly in the center. 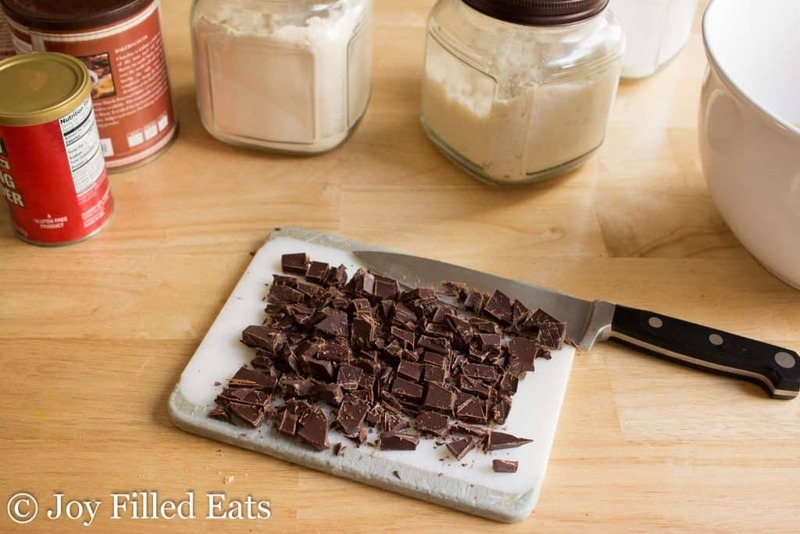 I have been making keto desserts for three months and this is by far the most awesome!!!! It does not taste like keto and my college age daughter loved it!!! I want to make these for thanksgiving! Yum! If I am to make them ahead of time, should I bake them, then freeze them, then thaw them out day of? Or bake them again? What do you recommend? Thank you! The first one. Just bake and then thaw. Enjoy! No. I'm sorry. I'm in the US as are 95% of my readers. I am also a mom of 5 with a toddler underfoot as I work. I do not have time to convert my recipes for one or two people. I enjoy my 'wretched cups'. Sorry, didn't mean to offend you - my comment was slightly tongue-in-cheek but probably sounded plain rude in writing. I'm sure a lot more than 5% of the people who like your recipes are non-US and would like to see measurements they recognize as it can be disheartening not to be able to use them instantly but I appreciate your situation. That would be great! In the meantime, I will do a conversion myself of this recipe as it ticks all my boxes so thanks for posting it! I’m in the UK too but most recipes are in cups even from NZ. What I do it weigh out when I’m putting it into the cups so then I know for next time. Joseph Joseph do a lovely set of bows with cups inside, which are super handy. Hi, this looks like a great recipe. Can you tell me if the brownies will freeze if made ahead of time? Thank you! Will make these for a children's party tomorrow! I use Swerve for sweetener. How much would you suggest I use in this recipe? You will need 1.5 to 2 times as much swerve. It is not as sweet as my sweetener. this is THE best brownie recipe ever. It fools ALL my non-healthy friends. Make more like this!! I'm so glad! I love tricking people into eating healthy. Lol. These are so delicious! Easy to make and great to freeze too. You can't taste the coconut flour at all. But, if you really don't want to use it I would try using 1/2 cup almond flour to replace the 1/4 cup coconut flour. 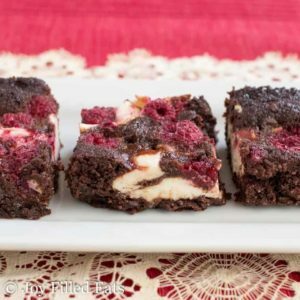 These were a big hit at a party I went to last week and I am making them as one of desserts for christmas eve tonight! thank you!! Could I make this nut free by subbing the almond flour for a nut free baking blend?